Please meet the symbol of our company: the ballerina. She takes you by the hand to guide you through our assortment. She shows you what Peha is all about and what we would like you to experience at our website. 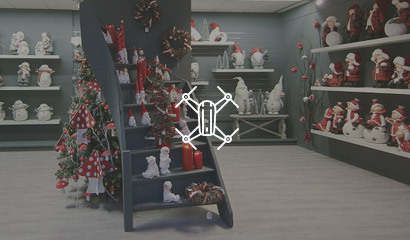 At Peha, we believe that the spirit of Christmas makes the world a little bit better and from this belief, we love to inspire our customers by offering a magical, carefully curated Christmas collection. This collection will be inspiring to your customers. Our goal is making their Christmas unforgettable!